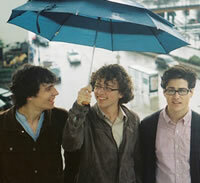 Also check out Jazz Port Townsend and Jazz In The Valley. From Earshot: Local experimental and improvised music label Table & Chairs is hosting its first of a series of quarterly showcase concerts at 8:00pm on July 30 at the Jones Playhouse Theatre in the U-District. Three bands not previously heard under the banner of Table & Chairs will be performing. Neil Welch’s Sleeper Ensemble and Prawnyxx will perform, and what’s normally a guitar and drum power duo, Simon Henneman and Greg Keplinger, has been expanded to a quartet for the showcase. The Sleeper ensemble is due to release a recording with Table & Chairs at the end of this summer. Simon Henneman and Greg Keplinger also have plans to begin a recording an album for Table & Chairs this year. Admission is $10 at the door. More information at www.tableandchairsmusic.com. This weekend is probably the biggest jazz weekend of the year in Western Washington. Both Jazz Port Townsend and Jazz In The Valley are happening in Port Townsend and Ellensburg respectively and New York vocalist, and former Seattle resident, Kendra Shank is performing at Tula’s tonight. Go out and hear some live music! And if you like what you hear, send us a fanview or photos. Perry, 60, the public face of Seattle’s signature jazz institution (the 32-year-old club is owned by John Dimitriou) is retiring at the end of July. For two generations of musicians and fans, saying goodbye will be like losing a familiar old friend. As manager, Perry is not only the face at the bottom of the stairs. He manages 18 servers, five bussers and a front-of-house staff of 10, and oversees the kitchen and bar. It’s not a job for the faint of heart. Perry started working for Dimitriou in 1984, back when the club was a casual joint in the University District and a manager was needed to run a second club in Pioneer Square. Perry thought his first night might be his last. Pianist Ahmad Jamal was the headliner. Are you heading to Jazz Port Townsend or Jazz In The Valley this weekend? We would like to publish fan reviews and photos … so send in your comments and photos of the shows. They can be as short as a paragraph or a full-fledged review. Those of you with smart phones can talk photos and email them to us. Reports are coming in that Frank Foster, saxophonist for the Count Basie Orchestra, passed away this morning. Frank Foster, a jazz saxophonist who played with the Count Basie Orchestra and composed the band’s hit, “Shiny Stockings,” died Tuesday. He was 82. Foster died Tuesday morning at his home in Chesapeake, Virginia, of complications from kidney failure, according to Cecilia Foster, his wife of 45 years. Foster was a native of Cincinnati. He told NEA interviewer Don Ball in 2008 that he “had an ear for music” from an early age. He said his mother took him to hear opera when he was just 6. Jazz big bands caught his attention when he was 12. Foster’s first instrument was clarinet, but at age 13 he took up the sax. Foster told the interviewer he played in a dance band at Wilberforce University and went on to join Basie’s band in 1953. 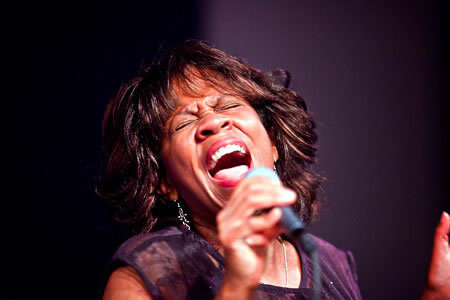 Gail Pettis performs this weekend at Jazz In The Valley in Ellensburg. Jazz Port Townsend is not the only major jazz festival this weekend in Washington. The 14th annual Jazz In The Valley takes place July 29-31 in Ellensburg, a two hour drive east of Seattle on I-90. This year’ performers include Gail Pettis, Gary Hobbs Quartet, Lloyd Jones Struggle, John Gross Trio, Little Bill and the Bluenotes, McTuff, Sonando, The John Moawad’s All Star Big Band and many more. All the shows are located in downtown Ellensburg, with a main outdoor concert stage and jazz in the surrounding clubs and galleries (think Ballard Jazz Walk). With a festival pass only costing $35 (individual days can be bought for $10-15), Jazz In The Valley makes a great weekend event, especially if Seattle’s rainy July weather continues. Tickets are available for purchase online through today (Tuesday, July 26) or can be bought in person at the event. Last year’s event did sell out, so we recommend buying online today if you are planning on attending. 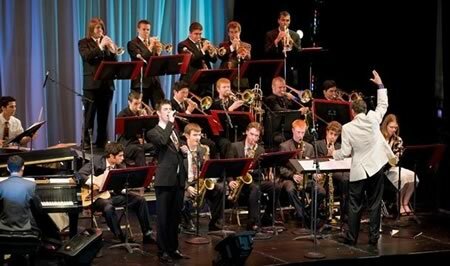 The Monterey Jazz Festival Next Generation Jazz Orchestra, a national all-star high-school group selected by the education arm of the Monterey Jazz Festival and directed by Paul Contos, swings through Seattle this week. Often a glimpse of future stars, the band has featured pianists Benny Green and Patrice Rushen and saxophonist Joshua Redman in the past. 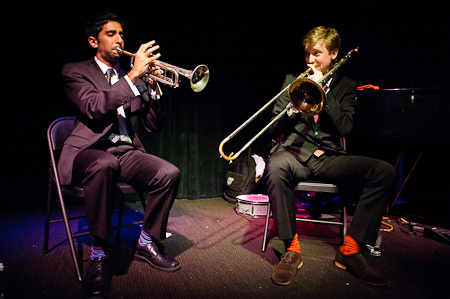 7:30 p.m. Tuesday and Wednesday, Dimitriou’s Jazz Alley, 2033 Sixth Ave., Seattle; $19.50 (206-441-9729 or www.jazzalley.com). A few years ago, when West Coast composer Bill Holman met Cuban clarinetist Paquito D’Rivera for the first time, Holman had quite a shock. Now the venerated arranger and composer has written a spanking new composition for D’Rivera himself, a three-part concerto for clarinet and jazz big band called “Northwest Passage.” The piece has its world premiere Saturday at Jazz Port Townsend. The new work was commissioned by Port Townsend arts nonprofit Centrum through a grant from the NEA Jazz Masters Live program, thanks to festival program manager Gregg Miller, a clarinet player himself. This April, the National Academy of Recording Arts and Sciences announced the elimination of 31 Grammy Awards categories to widespread outcry. Locally, the disappearance of one class of category in particular —awards for Latin Jazz — has continued to draw ire from musicians. But petitions can only go so far. Pianist Mark Levine, the recipient of a 2003 Grammy nomination in the Latin Jazz category, decided this spring to resign his membership. After being informed via a letter that he was, in fact, a lifetime member, Levine has decided to take his protest a step further. In the weeks between the initial announcement and his public repudiation of his Recording Academy honors, Levine had come to see the organization as not just ham-fisted but racially insensitive, both in NARAS’s initial category culling and its reply to critics. Continue reading at The Bay Citizen.